Deborah Neyens is an avid gardener and cook who believes that food should be sustainably grown, lovingly prepared, and joyfully eaten. If you love to entertain with food and wine but don't have the time to plan and execute a formal sit-down meal, look to the casual dining of Spanish tabernas for inspiration for your next dinner party. In bars across Spain, friends meet over glasses of wine or sherry and nibble on small plates of simple, yet delicious food. These little plates, called tapas, are ideal for an interesting and informal meal. With just a few simple tapas recipes supplemented by items you purchase, this is an easy dinner party to pull off. You'll serve your selection of Spanish tapas buffet style, so there's no need to set a table. Pair your tapas menu with Spanish wines (there are many good buys available). Light a bunch of votive candles – as many as you can find – and turn on some soft Spanish guitar music to set the mood. The wonderful food and relaxed ambiance will make for a memorable party. 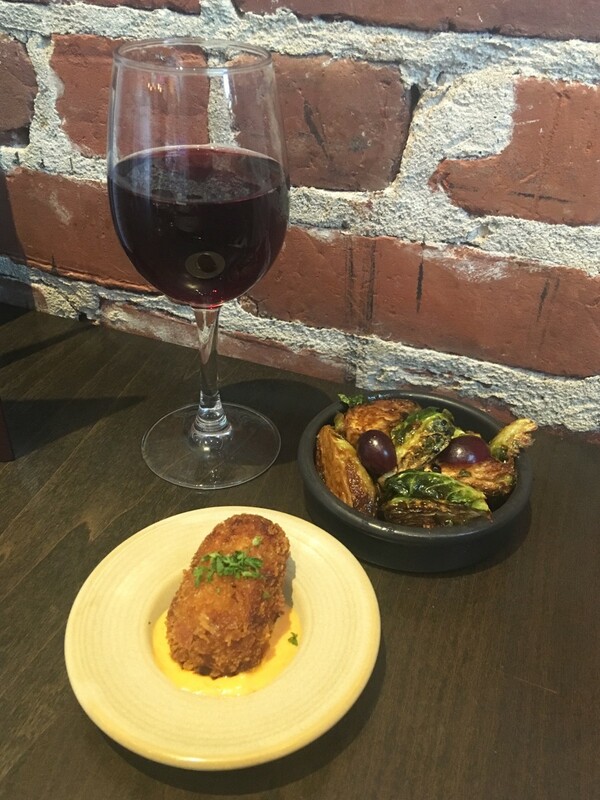 Tapas are said to have originated in the bars of Seville, in Spain's Andalusia region, where they remain a nightly tradition. The word tapa translates to "cover" or "lid" and the earliest tapas were slices of ham, cheese or bread laid across patrons' sherry glasses to keep the insects out. If the tapa was a bit salty, all the better; it would stimulate thirst so the customer would drink more. Tapas now encompass any hot or cold dish that can be served in small portions. Tapas can be as simple as a few nibbles like almonds, olives or bite-sized morsels served on cocktail sticks, or more substantial dishes made with seafood, meats and vegetables. Small rounds of toasted bread with a variety of toppings also are typical of tapas menus. To keeps things interesting, you'll want to have a variety of different dishes. Plan some hot, some cold, some nibbles and skewers, and some with a little more heft. To keep things easy on you, plan to make a few dishes yourself, including a few that can be made a day or two ahead of time, and pick up the rest at the market. Many supermarkets across the country like Whole Foods and Trader Joe's now stock a good selection of authentic Spanish cheeses, sausages, cured meats, and other products. Also check smaller gourmet and specialty stores in your area. If you can't find what you need locally, there are many on-line resources from which to order. Lay out your spread buffet style for optimal grazing. Arrange small plates in stacks so guests can serve themselves. Also supply cocktail sticks for spearing food and cloth or paper napkins. Don't forget the libations. A chilled dry Fino sherry is traditionally paired with tapas in Spain, but any sort of Spanish wine would be fitting for your tapas party. Spain is best known for its robust red wines, Rioja and the longer-aged and more pricey Rioja Reservas and Gran Reservas. These are particularly well-suited to meat dishes. Also look for Spanish reds from the Ribera del Duero and Navarra regions. For brisk, dry whites that pair well with shellfish, try wines made with the Verdejo grape. For something a bit sweeter, look for Chardonnay-based wines from the Catalonia region. Another beverage option for your party is a pitcher of sangria, a sparkling wine and fruit punch with origins in Spain. Sangria is especially good when the weather is warm and pairs well with spicy food. There are as many variations of sangria as there are of wine itself, and any ingredient is optional. 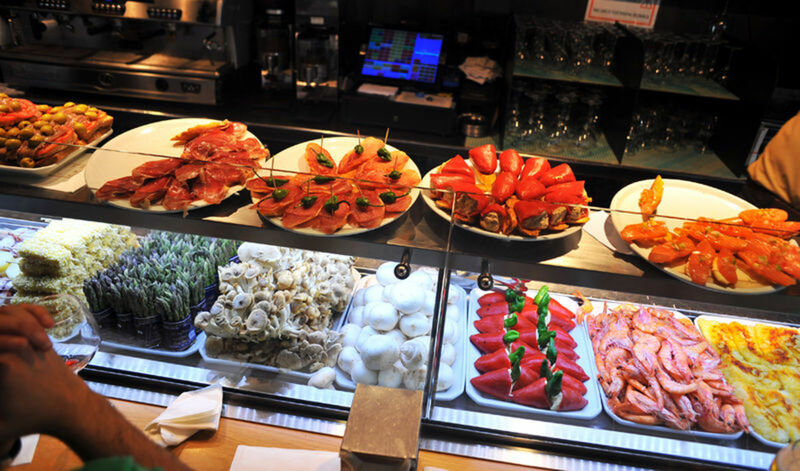 The Spanish Table: Offers a variety of Spanish products from meats and cheeses to olives and tinned fish. La Tienda: Offering authentic Spanish food from small family producers, including ham, chorizo and sausages, cured beef, and cheeses. Despaña Brand Foods: Despaña makes its own chorizo and morcilla sausages, but also imports a variety of authentic Spanish food, including artisan cheeses and dry-cured seafood specialties. La Española Meats: Offering a variety of imported Spanish products but most famous for their meats. Select items from each category to give your guests plenty of variety and a generous selection of tapas to make a complete meal. Choose two or more items from this list. The shrimp can be prepped in advance and finished quickly as guests arrive. The others can be made ahead and served at room temperature. Recipes are found below. 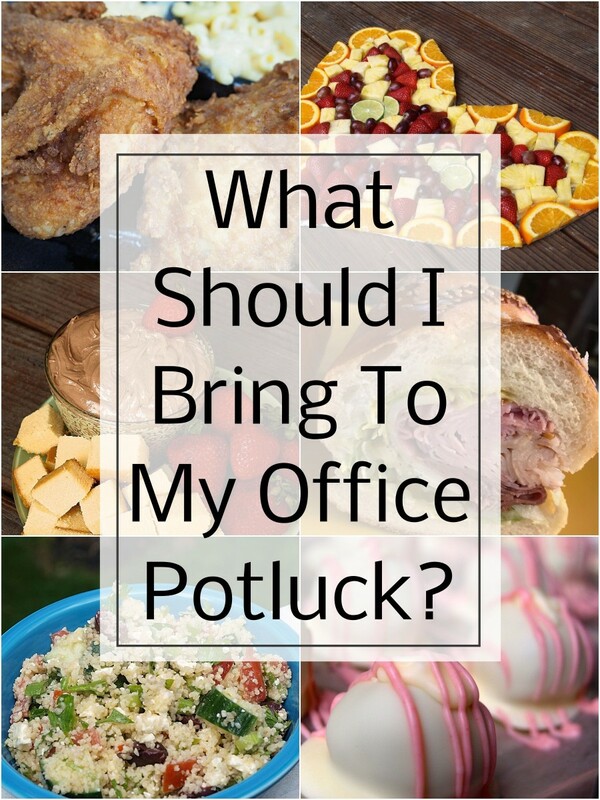 Round out your menu with as many items from this list as it will take to feed your guests. A good rule of thumb is to have 2-3 dishes for every 4 guests. Make sure your menu includes at least one fish or shellfish, one cheese or meat, and one vegetable dish, and a huge basket of crusty bread slices. Charcuterie platter: Choose 2 or more of the following Spanish cured meats or sausages: jamón serrano (cured ham), lomo embuchado (dried cured pork loin), chorizo, salami, cecina (salt cured beef). Bring to room temperature 20 minutes before eating. Add thinly sliced cantaloupe. Cheese platter: Choose 3 or more of the following Spanish cheeses: manchego (classic Spanish sheep's milk cheese), cabrales (blue cheese), mahon (a sweet, creamy cow's milk cheese from Menorca), roncal (sheep's milk), garrotxa (goat's milk cheese). Add thin slices of quince preserve (found in specialty stores). Platter of oil-packed fish like anchovies, sardines or tuna. Add chopped chives and pickled peppers. Wow your friends with these beautifully simple dishes that taste as good as they look. Do the prep work ahead of time and finish the dish as your guests arrive. Make sure to have plenty of crusty bread on hand to mop up the delicious juices. Heat oil in a skillet over high heat. Add garlic and red pepper flakes and cook 1 minute, stirring. Add shrimp and cook 2-3 minutes, stirring occasionally, until shrimp is cooked through. Stir in white wine and cook until alcohol is evaporated, about 1 minute. Remove from heat. Stir in parsley and salt to taste. Serve with lemon wedges. 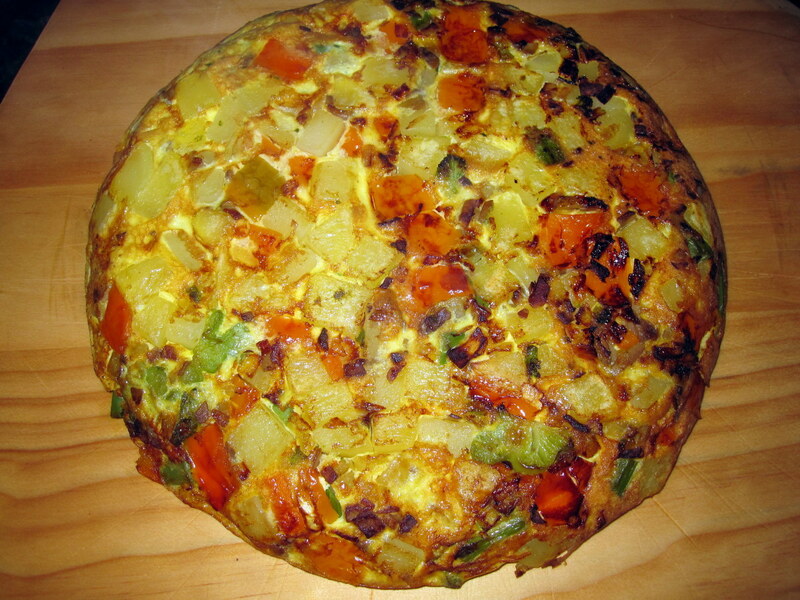 This Spanish take on an omelet can be made ahead and served at room temperature. 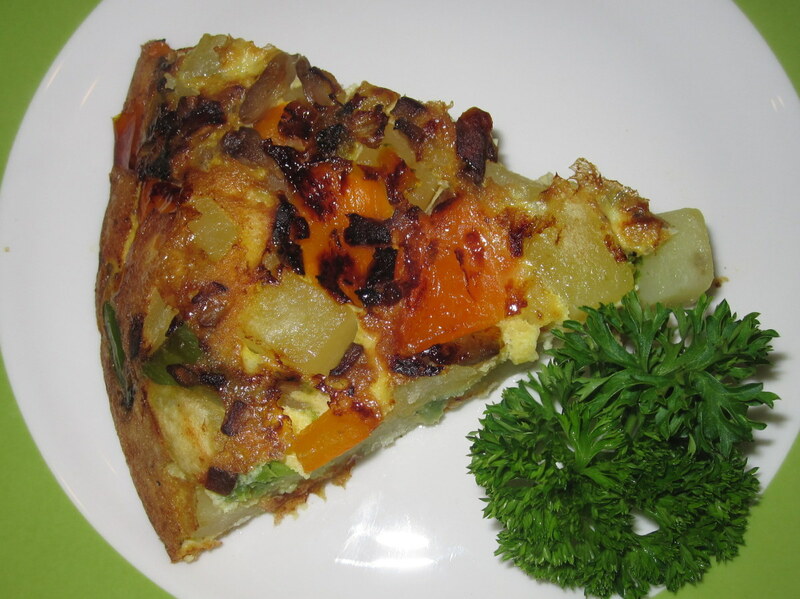 You can make it using just potato, onion and egg, or add colorful vegetables for a mosaic look. Steam the potato and broccoli until crisp-tender, about 5-10 minutes. Set aside. Heat olive oil over medium heat in a 10- or 12-inch ovenproof nonstick skillet. Sauté onion and pepper until tender. Stir in potatoes and broccoli. Pour beaten eggs into the skillet, stir and tilt pan to spread eggs evenly over the surface. Turn heat to low, cover and cook until eggs are set, about 12 minutes. In the mean time, preheat the broiler. Uncover the pan and finish for 2-3 minutes under the broiler until top begins to brown. Turn out onto wooden cutting board and allow to cool to room temperature. Use a pizza cutter to cut into wedges to serve on a plate or small cubes to serve on a cocktail stick. This dish may be served warm, but if you allow it to cool to room temperature, the flavors will intensify. 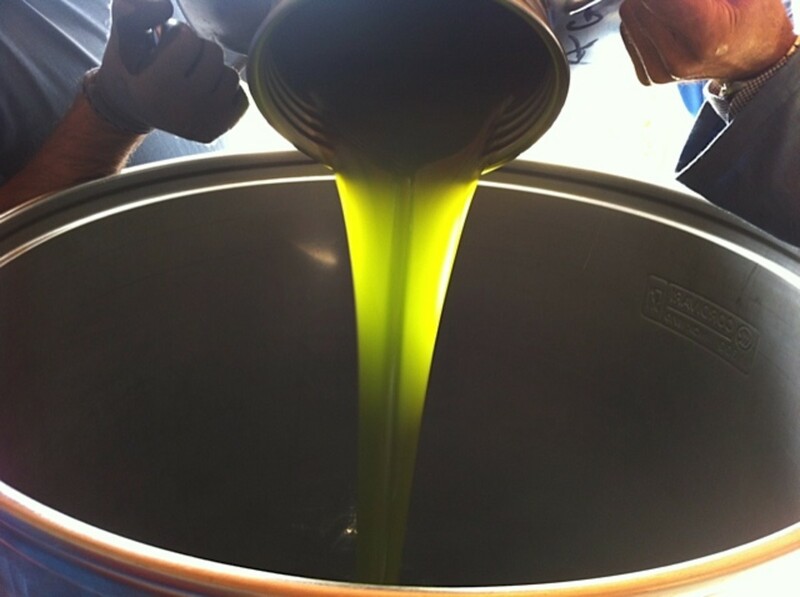 Hear oil over medium-low heat. Add the onions and sauté until tender, 5-10 minutes. Turn heat to medium-high, add garlic and stir for one minute. Add mushrooms and cook until they start to release some of their liquid. Add wine, thyme, half the parsley, and salt and pepper to taste. Turn heat to medium-low and cook, stirring often, until mushrooms are tender and some wine remains in the pan, about 15-20 minutes. Remove from heat and stir in remaining parsley. Transfer to serving dish. 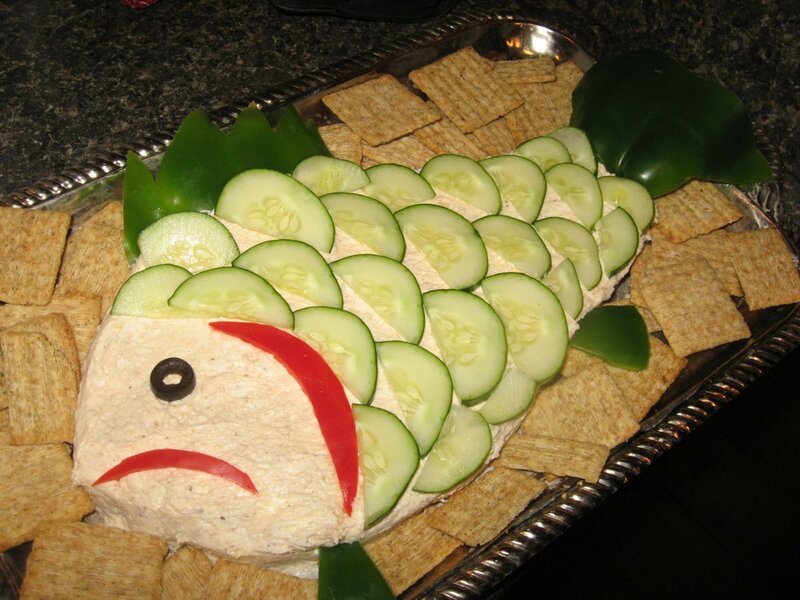 Serve with crusty bread or toothpicks. Serve this as a topping for toasted bread rounds (crostini). Top with paper-thin slices of manchego cheese. Combine all ingredients in a bowl and toss gently. Season with salt and fresh ground black pepper to taste. Can be made up to two hours in advance and kept at room temperature until serving. The Best Spanish Tapas Dishes You Simply Must Try! Just what I need for cottage season especially because we love a drink of chilled sherry before dinner. The recipes and sources are very useful. I have bought from La Tienda and was very satisfied. I want to check out the other sources you placed here. We have a lot of Spanish restaurants here in my country, Ms. Deborah. My favorite tapas are mushrooms sauteed in butter and garlic, and quesadillas. The sizzling shrimps sure look yummy! I'd like to taste them someday. Thanks, colorfulone. I've hope you've had a chance to try out some of these recipes by now. Deb, what a wonderful menu this is for a party. Its near lunch time here, but I need to eat now. This all looks and sounds Delicious! Thank you, amazmerizing. I agree that Spanish tapas would go very well with your favorite South American dishes. Enjoy! Thanks, Chitrangada. I hope you give these ideas a try. Thanks, Dianna. Please let me know how your party goes! I was attracted by the picture on HH! Your ideas are worth trying. Thanks for sharing this wonderful hub! Voted up! I don't know How I missed this wonderful post. I came across it as I was searching for recipe suggestions. Great idea for a party we are having this weekend. Voted up and more. Sharing! Thanks for reading and commenting, epbooks. What is your favorite tapas restaurant in Vegas? Awesome hub- love the ideas. Tapas and tapas restaurants are becoming increasingly popular here, so it's nice to see many of the recipes for the exact dishes they serve. Thanks for sharing! Thanks for stopping by again, vespawoolf. I have never been to Barcelona, Kalmiya, but it is on my short list of places to visit in the near future. Thanks for reading and commenting. I came by to check out this interesting Hub again. Now my mouth is watering for Spanish tapas! I'd like to do a cheese platter that includes manchego, one of my favorites, along with mixed, marinated olives and your sizzling shrimp. Yum! Love the photos and layout of this Hub. Thanks! Tapas are so great! I had the good fortune of being in Barcelona, Spain and they have bars where you can order a glass of wine and some tapas. I had a potato pancake type snack. It's great when you want something quick and tasty to tide you over! Voted up. Thanks for the update, Denise. What tapas book did you purchase? Would you recommend it? I'm always looking for new cookbooks for my collection. Deborah-I saw the recent comments here and had to add my update. I just recently bought a Tapas recipe book and can hardly wait to give the recipes a try. Of course, I'll be adding the suggestions you have here as well. Still a very UP/U/I/A hub! sharing. Good luck with the mushrooms and sherry. Hope you enjoy it. Thanks, wabash annie! Please let me know what you think of them after you've given them a try. Your hubs are so very interesting but wanted to thank you for describing all of the wonderful tapa recipes. I can't wait to try them! Hi Sue. Thanks for the comment. I've never cooked much with sherry, but will try that instead of white wine next time. Great hub, good information here. I normally put sherry in my Champiñones al Ajo instead of wine and these days never ever put anything other than potatoes and onions in my Tortilla Española (this was after my Andalucian friend nearly fell over in horror when I told him I sometimes put peas or other vegetables in - he said that was a frittata!) I just love tapas but get disappointed when I visit one of those Tapas bars that are part of a chain. The food is not authentic Spanish at all. Once again great hub; voted up and shared. Thanks, Au fait. You are right; there are many different types of cuisine that would be amenable to a small plate approach. Dim sum comes to mind, but that may be a bit more work to make. Glad you stopped by. It all looks delicious and the best way to have friends over with the least amount of work, leaving more time for you to enjoy the party too. Love the music. Great ideas, and one could plan a party on this same order with a different theme/type of food, etc. And congratulations on this being a Hub of the Day! Thanks, FullofLoveSites. My husband doesn't much care for mushrooms, so I only make this dish when we have guests. But I love it, especially on crostini. 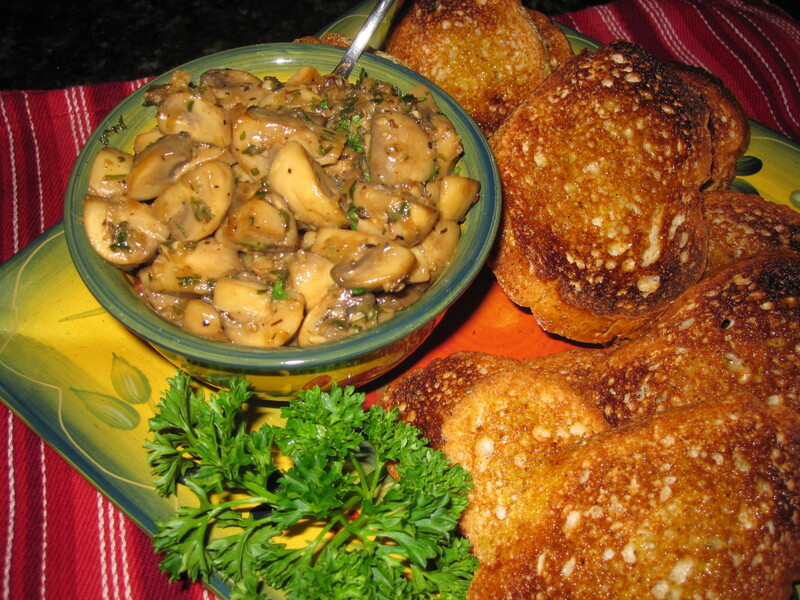 Wow, the mushrooms with garlic looks so yummy! Thanks for sharing these great ideas, might have this party theme for a change! Up and useful and interesting. Wow, wish I'd come across this earlier! You've certainly made me hungry. And I love the idea of such a party.....the food is not difficult to prepare. Thanks for sharing the recipes!! Passing this round. B. Leekley, I love your idea! Definitely no need to limit the concept to Spanish food. Thanks for reading and commenting. Up, Useful, Interesting, and shared with followers and on social networking sites. Sounds like a very good idea for a dinner party or for a have a bit to eat and drink after the play or concert is over party. And no need to limit it to its Spanish roots. Why not tampas fusion? For instance, Minnesotan tampas could include fried pan fish with wild rice, wild berries medley, grouse with asparagus, and so on. Thanks, unknown spy. Glad you enjoyed it! this hub is sooo good and perfect! Thanks for reading and commenting, Danette. Unfortunately, my husband hates mushrooms, so I don't make that recipe unless I'm having a party. But that's a good excuse to have a party, I guess. Cheers. Wonderful Hub, I can see why it got Hub of the Day. The mushrooms looked great, I love garlic. Voted up and across except funny. Thanks, Angela! I hope you find time to host your tapas party soon. And when you do, please report back and let me know how it goes. Cheers! I have ALWAYS wanted to do this! Thank you so much for the cheat sheet! :) I am so hungry after reading this though. Have a great day! Thanks, alocsin. There is so much you can do with a charcuterie platter, especially if you have a good place to get interesting sausages and cured meats. Then it becomes really easy to pull together. I appreciate the comment and votes! An excellent idea. I like the charcuterie platter, especially with the chorizos, one of my favorite foods. Voting this Up and Useful. Thanks, HawaiiHeart. They are delicious and pretty easy, too. Give them a try! What a great idea! Those mushrooms sure look delicious! Thanks, Audrey. These make great snacks or appetizers, or put several together for a whole meal. Yum! I love snacks and tend to eat them as often as I can! These just look scrumptious! Thanks, Rebecca! Glad you enjoyed it. Boy am I hungry after reading this! Those pics are awesome. Great job! Congrats on this HOTD jewel! Thanks, Daisy. There are lots of delicious vegetarian tapas. Another favorite of mine is patatas bravas, which is potatoes in a red garlic sauce. I can certainly see why this article was chosen as a HubPages *Hub of the Day*...congratulations! Thanks for including some vegetarian tapas. I'm definitely going to make some of those. Let's do it, Sunshine! Thanks for the comment. You are welcome, Denise. Maybe I should have dim sum theme for my next dinner party hub! Deborah-thanks for the Dim Sum reminder...I do remember reading that on many Chinese menus! Thanks for stopping by, Laura. I hope your next dinner party is a big success! Thanks for the comment and compliment, Denise. So many cultures have a version of this cuisine. The Chinese version of tapas is dim sum. And I think there is something so romantic about soft Spanish guitar music in the background during a candle-lit dinner. This is a great hub-attractive title, eyecatching photos and well written, informative content. I know I learned something-I was mistakenly under the impression the tapa party came from the Asian culture. Congratulations on the hub of the day selection-well deserved. :) BTW--familiar music. I have one of the Gipsy Kings albums. I love anything Spanish and have always enjoyed the sounds of the Spanish guitar. Brian, a topic for a future hub, perhaps? Ishwaryaa, I love Spanish food and wine, and was fortunate to eat at some great Spanish restaurants when I lived in Chicago, but that's about where my knowledge ends. I really need to travel to Spain someday. Thanks for the compliment! Thanks, pstraubie and John Sarkis. John, I'd love to get to Cuba someday. I spend a lot of time in the Florida Keys and love the Cuban food there. And mojitos ... mmmm. Thanks, urmilashukla, pedrn and Claudia. Claudia, that's a great observation. It can be as easy or complicated as you want to make it. Those piquillo peppers are great, too! Thanks for asking Deborah but no I haven't up to yet. Wow! It looks so delicious. Thanks for these tips on how to make a Tapas Party. Great hub. Congratulation on the hub of the day. Voted up and useful. This is an extremely well-written hub! I tried Spanish food before (I made Gazpacho & pan con tomato). I have heard of tapas. You have a great knowledge of Spanish food and culture. The photos look delicious and the recipes sound good! You are a great party-planner and an amazing host! Your guests are v. lucky! Congrats on another Hub of the Day! Thanks for SHARING! Useful & Interesting. Voted Up. This all looks so yummy and is laid out so very nicely. Now I'm hungry! I can't wait to try these. Congratulations on hub of the day. It is a good one! The sizzling shrimp sounds yummy! Tapas are very diverse and can be easy or complicated (like the Tortilla Española), but there are so many tapas to chose from that we can make a not to overwhelming right balance for entertaining. I particularly love grilled asparagus or pan fried "pimientros de piquillo", it can't get easier than that. Congratulations on hub of the day! What a great hub! I love Tapas but have never tried serving them at a party. I love the recipes and the pics as well as all the resources. Thanks so much for SHARING! Great Hub. Look so delicious!Perfect pictures. Voted up! Congrats on achieving Hub of the day award. Wow...it sound delicious and I can't wait to make it soon. Thanks for writing and share with us. I really enjoy your recipe. Take care and rated up! I have heard the word tapas but never knew what it was. I learned something new. Great idea for a party. Finger foods are always a hit because they are easy and people don't even have to get a plate unless they want to. I could see myself making these tapas and celebrating all by my lonesome. What a great introduction to tapas through your Hub and photographs! Oh Deborah this is wonderful I love Spanish music and food..
DeborahNeyens~ My Dad has always called me a "grazer" because I am a huge fan of small finger foods. So this hub is right up my alley! I would rather a meal of these tasty morsels than a big feast. 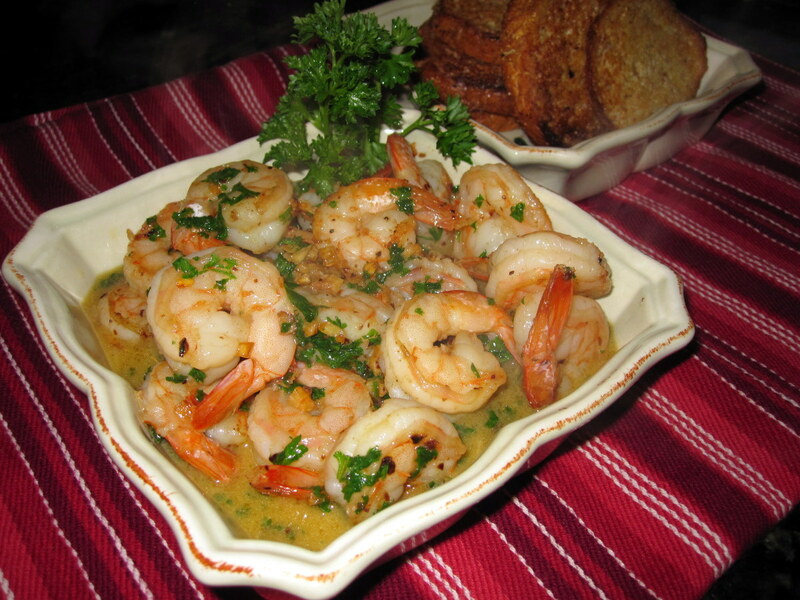 Thank for sharing some really great Tapas recipes,...I can't wait to try your sizzling shrimp! Thanks, Brian. I think I'd be able to come up with some really fabulous hubs if I ever actually get a chance to go to Spain! Do you write about your trips? Thanks, writtenbylv, ruprect, ComfortB, dbuddhika, Victoria Lynn, and Eileen! Peggy W, I love that story! Reminds me of when I ordered steak tartar in Paris. Thanks fo the comment and votes. I would love to take that trip, Debbie. Thanks for the comment! This definitely can be a low-budget party, eatforcheaper. 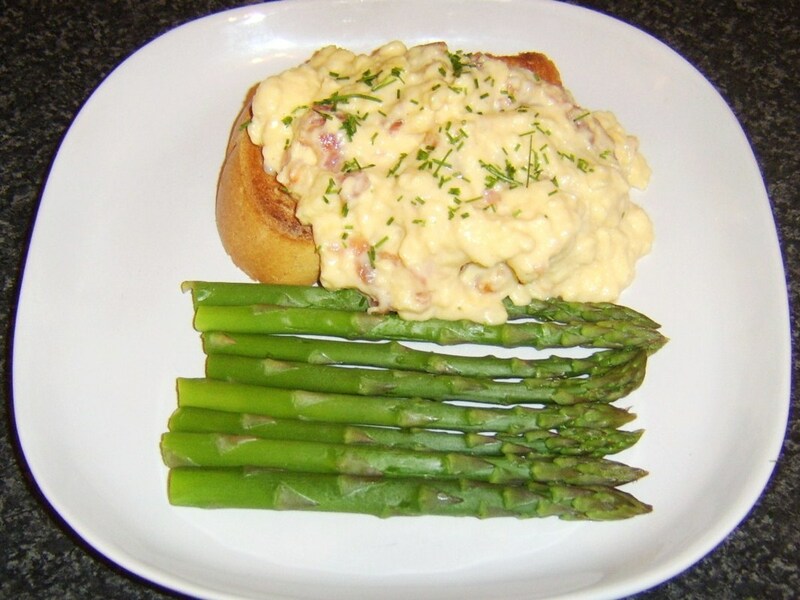 Eggs, potatoes and bread are inexpensive and can provide a good base for the meal. If you don't want to spend money on shrimp, substitute spicy meatballs in tomato sauce for less. Fab, we love tapas must try some if not all of these, thank you so much. No wonder that this made HOTD. Congratulations! 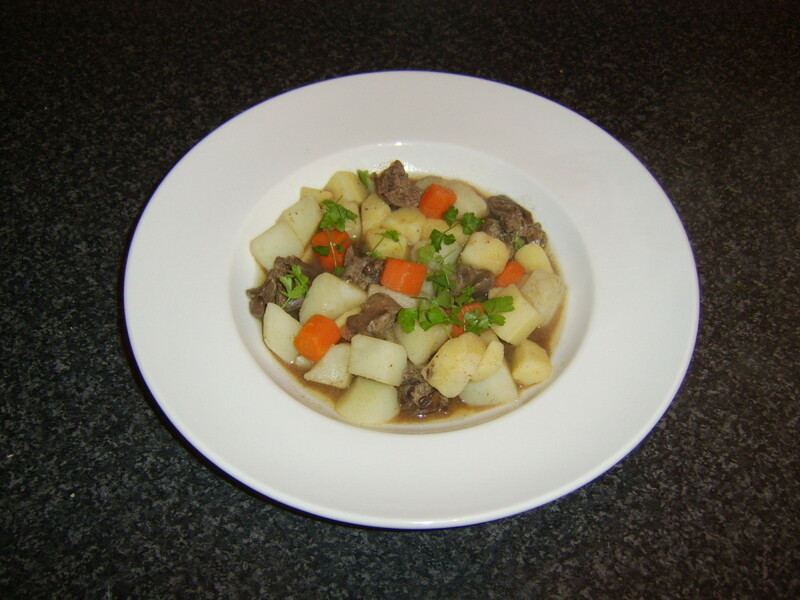 Great sounding recipes, information and photos. We still smile when we think of a good friend of ours who once went to Spain and ordered a couple of tortillas to accompany his already ordered meal. He was thinking that they were the Tex-Mex kind and he was shocked to get a couple of large omelet type dishes. He did not want to show utter ignorance so ate and ate and kept eating! Ha! Voted up, interesting and useful. Thanks! Great hub and great pics! Looks delicious! Congrats on Hub of the Day! Congrats on getting Hub of the Day. I may never host a tapas party, but I sure do love these menus. Congrats on being the HOTD, and thanks for sharing! Great Hub and it allows us to bring a little of Spain to our homes and friends. My favorite part of visiting friends in Spain was sitting with them outside at a local cafe with a good wine and several delicious tapas. Hi, this is a fantastic hub! I love to throw dinner parties and I must say I've never done a Tapas party! I've had BBQ ones and parties when people each cook a dish but this is a great idea as well. As I'm about eating for less, I'm pretty sure that this can be done on a great low budget! Thanks again! Thanks to you all for the congratulations and comments. It was fun to wake up this morning to find that this is the Hub of the Day! Jools, now you are making my mouth water by mentioning some of those other dishes. Patatas bravas with garlic aioli - yum! And those little meatballs - albondigas, I think they're called. I have a great recipe for them, too. Sadly, I've never been to Spain, but it's at the top of my list! Thanks, Simone! Can't believe you've never had tapas. You must remedy that soon! My party plan is very doable. Thanks for the comment. Congrats on Hub of the Day. Bookmarking this for future reference. Congratulations on Hub of the Day! I knew I loved this hub! We go to Spain or its Balearic islands almost every year for our holidays and we eat a lot of tapas - I love their meatballs, stuffed japapenos, mixed olives and patatas bravas. Your tortilla looks delicious by the way, I'd happily eat the whole thing! Voted up, great hub. Congrats for the well deserved the Hub of the Day accolade. I am coming to your next party. The food presented here is so delicious and inviting! Tapas - a different and easy to make and easy to serve dishes of varaities being given in nutshell. yummy! utterly butterly delicious. Thanks for sharing. voted interesting! Lovely! I am bookmarking this. Thanks so much for sharing your wonderful tapas!!! Bon Apetit!